Due to the Refurbishment Project underway at the Clinical Sciences Institute the Medical Library is currently off limits in order to facilitate required structural works. The precise duration of the closed period is at present unknown, but is likely to extend well into July. The exhibition will be open from 29 June 2015 and will run throughout 2015. Admission is free and all are welcome. 2015 is a year dedicated to the national and international celebration of the life, work and legacy of Ireland's Nobel-prize winning poet, W.B. Yeats. 'Yeats150' marks the 150th anniversary of Yeats' birth and is the inspiration behind the upcoming exhibition, Yeats and the West taking place at the Hardiman Building. The foyer space will be transformed into a story-telling space of the influence of the West of Ireland on W.B. Yeats; his spiritual home and eventual burial place, and how the West was a living presence in Yeats' work but also on those around him, who collaborated with him and inspired those who came after Yeats. The exhibition will present a range of items from the Archives and Special Collections of the Hardiman Library in a display of material and digital content. The themes of the multi-faceted life of W.B. Yeats will be at the centre of the exhibition and include the influence of Coole Park and the Gregory family; craft, music and print culture as evidenced through the Cuala Press Broadsides published by the Yeats sisters and edited by W.B. Yeats and featuring many artworks by Jack B. Yeats; the imposing figure of the tower at Thoor Ballylee; the 'Western World' - Yeats and America; Afterlives - the influence of Yeats on later theatre, including the Abbey Theatre, Druid Theatre and the Lyric Theatre, Belfast and numerous other related themes. The physical display will include a selection of rare Yeats publications. The exhibition will also feature a selection of framed Jack B. Yeats watercolours which are viewable in the Archives and Special Collections Reading Room. The inaugural CONUL (Consortium of National and University Libraries) annual conference, which took place in Athlone from 3-4 June featured wide representation from across the Library. With eleven speakers in total across the two days of the conference programme, the Library was well represented among peers and colleagues from across the country. The conference thme was 'Innovation and Evolution: Challenges and Opportunities for 21st Century' and considered the broad challenges facing academic and research libraries in Ireland. The conference identified and debated such challenges and provide an opportunity for staff to network, learn, discuss and share their expertise and best practice. Among the speakers from the Hardiman Library were John Cox, Ann Mitchell, Evelyn Bohan, Peter Corrigan, Monica Crump, Cillian Joy, Aisling Keane, Barry Houlihan, Ronan Kennedy, Marie Boran and Connell Cunningham. The issues address by this group in their individual and joint presentations included the planned physical transformation of the Hardiman Library Building; reading list services; the journey ahead to 2020 in strategy and planning; sentiment analysis of Library survey feedback; developing user reporting mechanisms for e-resources; digital libraries; special collections and archives in research. Keynote speakers were Marshall Breeding, an independent consultant, speaker, and author. He is the creator and editor of Library Technology Guides and the libraries.org online directory of libraries on the Web and also Sarah Moore, the Chair of the National Forum for Enhancement of Teaching and Learning and Associate Vice President Academic at the University of Limerick. both speakers gave insightful and inspiring overviews and opinions on many aspects of the profession and areas being encountered, challenged or changing for librarians and institutions of national or university-based context. The conference overall was a huge success and a wonderful opportunity for colleagues from across the country and across all institutions, services and expertise, working within libraries, to network and engage with the direction the profession, as well as our changing relationship with our users and collections, may take in the future. Well done to all at CONUL and we look forward to next year's conference! 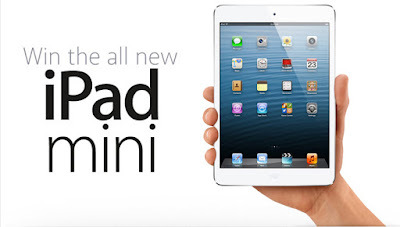 Who won the Ipad Mini from the LibQUAL+ Survey? The LibQUAL+ survey Ipad-mini winner was Ms Aoife McHugh, 3rd year Bachelor of Arts (Mathematics and Education). The Hardiman Library counts among its holding an unrivalled array of Irish theatre archives spanning from the late 19th century to present day. With major archives including Druid Theatre, Thomas Kilroy, Arthur Shields, Siobhan McKenna, the Lyric Theatre, Belfast and Taibhdhearc na Gaillimhe. The Abbey Theatre digital archive, the largest theatre archive digitization project in the world, comprising more than 1 million items including scripts, costume designs, prompt books and performances is also available to study for generations of scholars to come at the Hardiman Library. 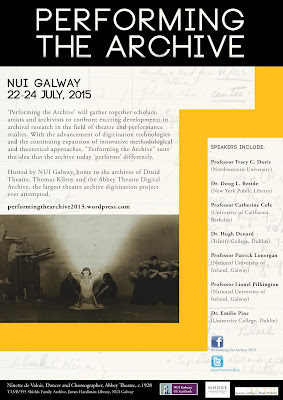 Capitalising on this expertise, 'Performing the Archive' is an international conference taking place from 22-24 July 2015 at NUI Galway and will gather together academics, researchers, artists, archivists and librarians engaged in working with archival materials on research and performance projects to explore the uses and possibilities of the archive today from theoretical and methodological perspectives. Keynote speakers include Patrick Lonergan and Lionel Pilkington of NUI Galway, Catherine Cole of University of California, Berkeley, Doug Reside, New York Public Library, Tracey C. Davis, Northwestern University, Chicago, Hugh Denard, Trinity College Dublin and Emilie Pine, University College Dublin. The conference will feature over eighty speakers, representing thirteen countries over the three days. Key themes of the conference will include the status of archival research methodologies in published research and graduate training today; how has digitisation changed our access to theatre archives; case studies of theatre artists using archives in new work, the possibilities of collaboration between researchers and practitioners; how has digital humanities begun to reshape the possibilities of archival engagement? ; how has the cataloguing of new/recent archives contributed to new learning and change? as well as the craft of the playwright: drafting, editing and writing for stage or radio as represented in the archives. 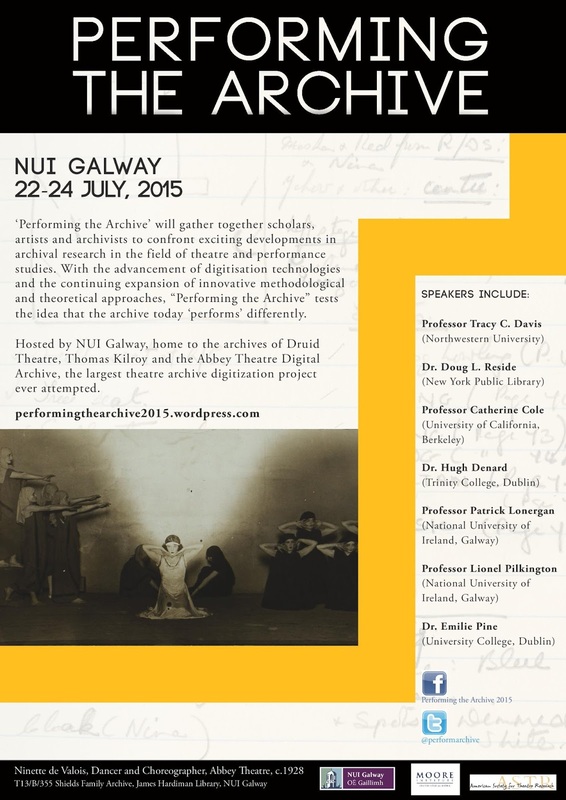 The conference will also include staged readings of historic and previously unknown scripts from the archives by students from the Centre for Drama, Theatre and Performance of NUI Galway. Other events will include a series of thematic workshops, book launches of new leading publications as well as excursions to events at the Galway International Arts Festival. The LIR HEAnet User Group for Libraries aims to explore and develop awareness of electronic information resources and to promote the use of the HEAnet network in exploiting these resources. Since its inception in 1993, it has provided a forum for discussion on the use of electronic resources and networks by HEI libraries and encouraged communication and co-operation between member libraries in accessing electronic resources. Each year, LIR hosts a seminar organised around a central theme, and in the past has covered topics such as Open Access and Open Source, Cloud Based Collaboration and the Management of Electronic Resources. This year’s seminar was entitled ‘Uncharted Territory? What Next for Webscale Discovery’, and dealt with the topic of library discovery tools. Keynote speakers on the day included Gareth Owen & Mark Hughes from WHELF (Wales Higher Education Libraries Forum) who discussed their recent assessment and selection process for their resource discovery tools: ‘Transitioning a Vision to Reality: The Wales Higher Education Library Forum (WHELF)’, and Dorinne Raaimakers, Utrecht University Library whose presentation, ‘Thinking the Unthinkable: A Library Without a Catalogue’, discussed Utrecht University’s decision to do away with their discovery tool. Videos and slides of these presentations, as well as the other presentations on the day, including one from the James Hardiman Library’s Electronic Resources Librarian, Ronan Kennedy (Discovery Tools - Walking the Tightrope between Complexity and Simplicity), can be found on the LIR website, and will give valuable insight into the current trends in resource discovery, as well as how libraries plan to tackle this topic in the future. 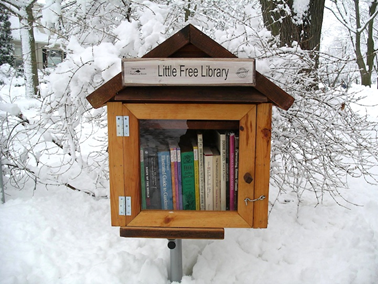 The Little Free Library movement is a community based book exchange scheme. Working on the principle of ‘leave a book, take a book’, the scheme aims to promote community arts programs, positive mental health, and most importantly, literacy, particularly amongst children. 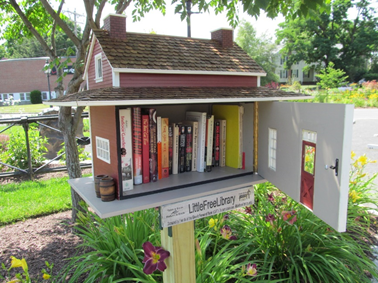 The movement began in Wisconsin, USA in 2009, by Todd Bol, but has spread worldwide since then, with now over 25,000 little libraries spread across over 70 countries. The first little free library built by Bol was a model of a one room schoolhouse as a tribute to his mother, a former school teacher who loved reading, which he filled with books and put on a post in his front yard. These libraries are handcrafted structures, with designs that range from Bol’s very first schoolhouse model, to those of phone boxes, tree stumps, wine casks, and even the TARDIS from Doctor Who. They vary in size, but are usually big enough to contain 10 to 50 books, the majority of which are donated. The movement is now in Ireland, started by the Free Wee Library project in Buncrana, Co. Donegal, and there are now Wee Free Libraries in Donegal, Dublin, Carlow and Clare. Trish Finnan has recently joined the Research Services team in the Library as Digital Publishing and Data Management Librarian. Her previous roles at NUI Galway include Collection Management Librarian and Subject Librarian, Business and Economics. 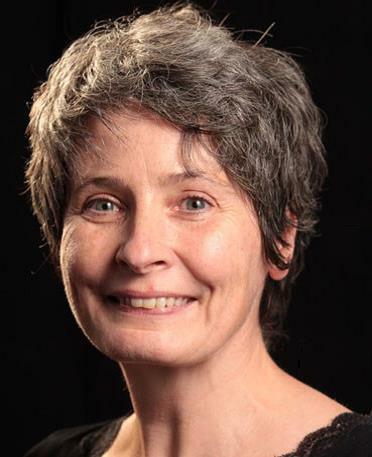 She has also worked in the libraries at DCU and UL, as well as for the European Commission and in the private sector. As part of the Research Services team in the Library her remit is focused on supporting researchers in relation to open access publishing on ARAN, NUI Galway’s institutional repository. She will also develop support services related to research data management planning. Trish is currently reviewing all workflows that relate to depositing material in ARAN, NUI Galway’s institutional repository. The platform for ARAN is currently being upgraded to the latest version. This will improve its functionality and usage data. The goal is to provide a deposit process that simplifies procedures for the researcher, making it easy for them to comply with and benefit from the open access publishing requirements of funders. A training and advocacy programme to explain and support open access publishing will be provided. Related publishing services will include the provision of DOIs. Increasingly research data management plans and open access to research data is required by funders. The advantages cited include the potential for verification and re-use of research data, continuity of research as staff/researchers change, data sharing and collaboration, research visibility, impact and citation. We already see journal articles that link to datasets in publications like Nature. Other new data journals that are peer reviewed and citable include Scientific Data (Nature) and the Geoscience Data Journal (Wiley). Alongside this data repositories and discovery services like Data Citation Index have developed. Open access to research data requires planning and management from the start of the research data life cycle. Trish will advise on and develop useful resources to support researchers with the development and implementation of data management plans. Alongside this a platform to support open access to research data will be developed in the Library. To celebrate this Bloomsday, we are looking beyond Ulysses and to some other Joycean treasures present in the collections of the Hardiman Library. One such item is an original, autographed edition of a collection of poems written by James Joyce entitled Pomes Penyeach. The volume also features intricate and ornate illustrations by James' daughter, Lucia Joyce. The volume, which contains the Galway-themed poem,She Weeps Over Rahoon, was donated to the Hardiman Library by Joyce himself in 1935. The book was published by Obelisk Press, which was run by Jack Kahane, an admirer of Joyce’s work, and by Desmond Harmsworth. 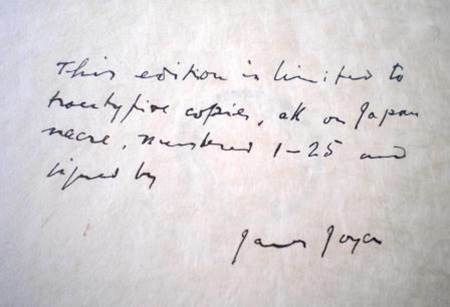 Editions of the book were signed by James Joyce and offered for sale at £12. Joyce sent copies to other authors and contacts in the publishing world and his letter notes that the book was deposited in the British Museum Library and the Bibliothèque Nationale. 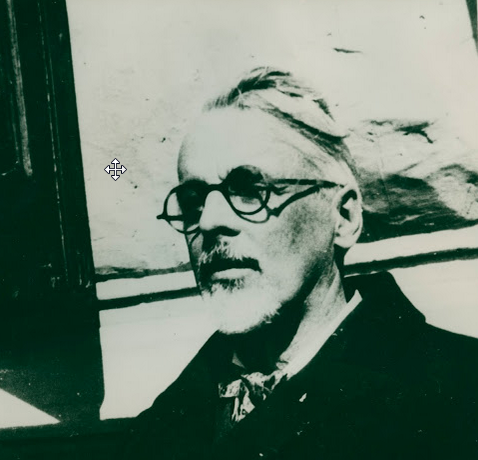 Joyce personally sent a copy of Pomes Penyeach to the Hardiman Library of NUI Galway and a manuscript letter by Joyce sent to Prof. John Howley, University Librarian, was written in August 1935, accompanied the book. In the letter Joyce indicates that his uncle-in-law, Michael Healy, had requested him to send a copy of the special edition of Pomes Penyeach to the Library. Joyce states that he was doing so not only because the illustrator was a “grand-daughter of Galway” and the bearer of one of the ancient tribal names but also as a token of appreciation of the support he had received over the years from Michael Healy himself. The book is a beautiful reminder of the connection of Joyce to the City of Galway in his personal life through his relationship with Nora Barnacle and also in literary means, through She Weeps Over Rahoon and also as through numerous scenes and references in Joyce's masterful short story, the Dead. Niall McSweeney & Barry Houlihan - “From the Cloud to the Reading-Room: Digital Archives in Research, Learning and Teaching. “Information content in current academia and research is balancing between the point of the material and the digital. The Library as a traditional repository of information will fulfil its same core function but is moving forward to operate and engage with digital content in continuingly developing ways. The library as facilitator of and access point to scholarship, including providing support for, and promoting publications, research data, institutional data, archives and special collections, print and book resources and open access to research and other resources and services, is adapting to how users engage with these resources, how information is access, preserved and consumed. Big thanks to Justin Tonra for a great conference. This review applied to normal loan books and no changes are being made for the shorter 3 day and 1 day loan books. These new patron types and loan periods will be implemented for all new loans and renewals from the end of June 2015. Over the next academic year we will be monitoring usage to ensure that all user have benefited from these changes. Tá muid ag an am sin den bhliain arís nuair a molaimid d'ár baill breathnú ar do chuid seilfeanna agus tabhair ar ais aon leabhair nach bhfuil uait níos mó chuig an leabharlann in OÉ Gaillimh. Le déanaí fuair muid roinnt leabhair a bhí ar iasacht ar feadh dhá bhlian déag. Níl a fhios againn an raibh siad á n-úsáid go gníomhach nó ina suí ar sheilf áit éigin i rith an ama sin. Anois ar a laghad tá siad ar fáil arís d'úsáideoirí eile. Breathnaigh thart ar do réimse oibre, oifig nó seomra suí agus má thagann tú ar leabhar a fuair tú ar iasacht nach bhfuil uait níos mó, tabhair é ar ais chuig an meaisín sa leabharlann. Tá and measiín suite díreach ar dheas tar éis duit dul isteach ar sa leabharlann. Lasmuigh d'uaireanta oscailte an leabharlann bosca taoibh amuig den doras inar féidir leat na leabhair a fhágáil. Is cuma cé chomh fada a bhí an leabhar ar iasacht - cuirimid fáilte roimh gach ceann a thagann abhaile. It's that time of the year again when we encourage all of our borrowers to take a look at your bookshelves and return any books that you longer need to the library at NUI Galway. Recently we received some books which were initially borrowed 12 years ago. We don't know if they were actively being used or just sitting on a shelf somewhere during that time. At least now they are available again for other users to borrow. Please take a look around your work area, office or sitting room and if you find a borrowed book you no longer need then please return it to the book returns machine in the library. It's located just to the right after you enter the turnstiles at the entrance. We also have an out of hours book returns box outside the entrance into which you can return items when the library is closed. No matter how long the item was with you - we welcome all returns. Dúchas.ie is a project to digitize the National Folklore Collectionof Ireland, one of the largest folklore collections in the world. 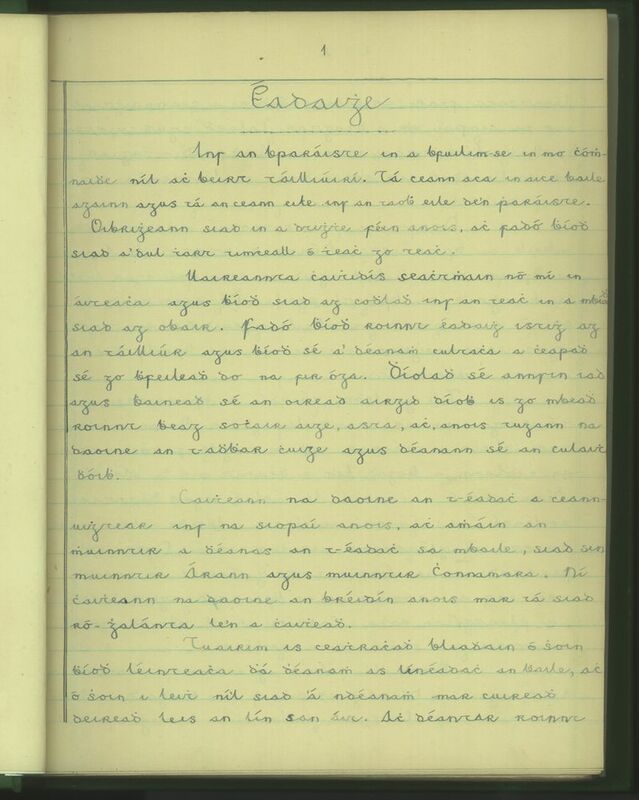 Material from six counties in the Schools Collection, including Galway, is available on dúchas.ie. New material is being added on a phased basis. This collection was compiled by schoolchildren in Ireland in the 1930’s. The Sunday Times Digital Archive 1822-2006 is on trial until Friday 10 July 2015 via http://www.library.nuigalway.ie/aboutourcollections/databases/databasetrials/. Please complete the feedback form if this resource is of interest to you. EPL Makerspace (2015) Mack Male. Retrieved from https://www.flickr.com/photos/mastermaq/16994997802/. At the moment, the Library is creating an institutional makerspace in the Library for all students and staff. 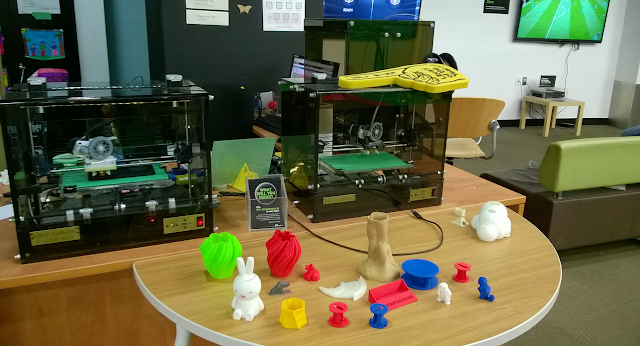 The makerspace is supported by NUI Galway's Student Projects' Fund and the Library. The vision is to provide a technology enabled space for engaged teaching and learning. A space where students can be creative, collaborate, share, develop ideas, innovate, and generally just ‘make stuff’. Makerspaces are do-it-yourself spaces that provide opportunities and tools to create collaboratively by people with shared interests. They are also known as hacker spaces, hack labs, hack spaces, and maker labs. The space will provide, among other things, 3D printing, electronics kits and components, high powered computers, and software for digital media creation, such as Photoshop. Bringing these items together in a single location is important because they may not be available elsewhere due to associated high costs. The main benefit is engaged learning using technology, resulting in deeper student engagement and learning. The most commonly cited example of engaged education using makerspaces is in Chemistry, with students creating models of molecules using makerspace design software and then printing these models in the makerspace’s 3d printer. Makerspaces also foster a culture of creativity and innovation. They also encourage cross-discipline collaboration and communication, as shown by students from engineering and the sciences working with students from the social sciences and humanities. Importantly, Makerspaces give students knowledge and practical experience of tools, such as Photoshop or 3d printing, which are normally out of reach due to high costs. In terms of post University life, makerspaces provide tools and experience that is relevant to today’s marketplace. By using these professional tools, NUI Galway students will be more work-ready and employable. The American folk singer Jean Ritchie died on the 1st of June at the age of 92. One of the major figures in the American folk and Appalachian song movement she was famed for her pure voice, dulcimer playing, songwriting and influential books on the American song tradition. She composed her own songs, many of which were recorded by such diverse artists as Johny Cash, Emmylou Harris and Dolly Parton. In 1952 she toured Ireland with her husband the photographer George Pickow researching the ballads that she had grown up singing in her Kentucky home. The remarkable photographs taken by George Pickow were acquired by the Library in 1996 and have since been digitised as one of the online archival collections. Last March the Library launched the inaugural Jean Ritchie memorial lecture in her honour. The acclaimed Appalachian author Silas House spoke about the close links between the Irish and Appalachian traditions that Jean Ritchie and George Pickow so responded to. Library services are once again available. We apologise for the delay, but there were some unforeseen issues with the migration which have now been resolved. Once again we wish to apologise for any inconvenience caused.